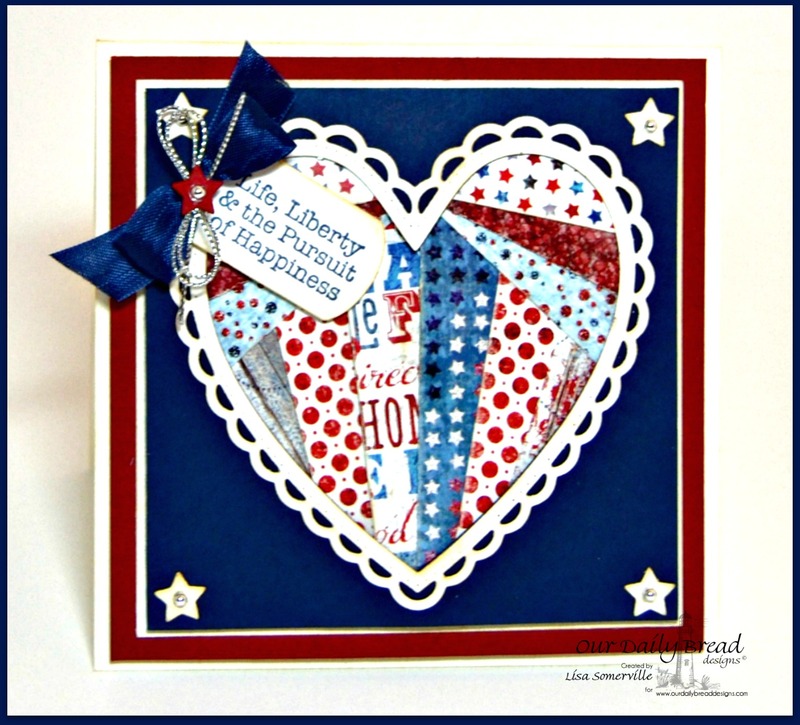 Inspired by the Faux Iris Folded card I created in this post, I created another one, swapping out the papers and and a few dies for a patriotic themed card. Instead of using the Faux Iris Folding technique, I did fold the papers from the Patriotic Paper Collection using the Scor-Pal for a nice crisp fold. The sentiment is from the American Hero stamp set, this sent includes some wonderful patriotic sentiments that can be used with the Mini Tags Dies. Here I used the Dog Tag Die from this set with a sentiment from the stamp set. So very beautiful! Knocked my socks off again. This is gorgeous! Love the design of your heart.